Nokia Tube has been talked about on our site more than the iPhone, if you ask me, but there’s a reason to all this fuss. We’re dealing with the first Symbian S60 and first (almost) Nokia handset that uses a full touchscreen. Basically, the only new info regarding the Nokia Tube, or the XpressMusic 5800 if you want to call it like that, is its launch date: October 2nd. The photo above seems to be the official press pic of the device and comes with yet again a list of specs of the Nokia 5800 XpressMusic. Having a look at it, we discover a 3.2″ touchscreen display with a 640 x 360 resolution, a 3.2 megapixel autofocus camera with dual LED flash and 30 FPS VGA recording and A-GPS. 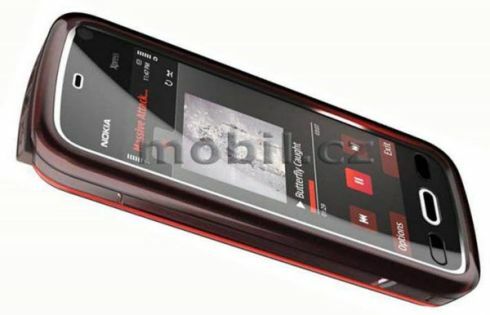 Also included in the specs list is Symbian S60 Taco 5, the OS of the new phone, plus WiFi, USB 2.0, Bluetooth 2.0, a 3.5 mm headphone jack and a TV-out port. If you’re wondering about the storage space of the Nokia Tube, you’ll get 150 MB of user memory plus 8 or 16 GB on a microSDHC card (an 8GB one is included in the box).